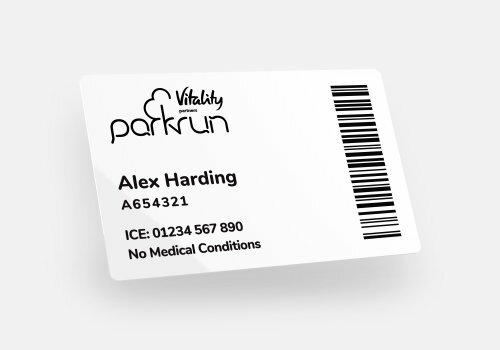 Our tough plastic cards are personalised with a resin-based ink which is thermally fused to the surface. Now includes a clear varnish layer that protects your cards for longer from abrasion and wear and tear. 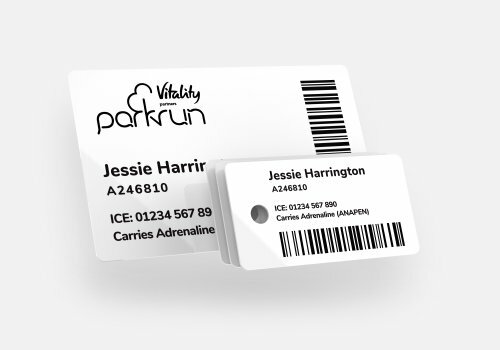 Our versatile tags can be attached to key rings, clothes, shoes laces, or worn on a lanyard. Pack of three. Best of both worlds. Pick up our best-selling plastic barcodes for a special price. 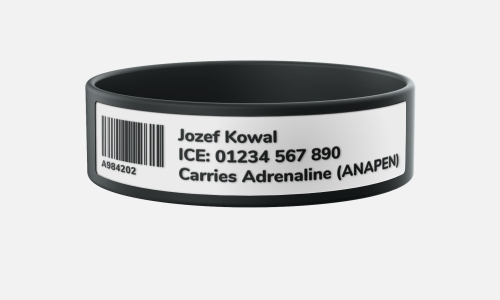 Our super strong wristbands use the latest technology to incorporate your details. Choose your size and colour. Our new super strong wristbands are smoother to the touch and extra resilient to wear. Our new super strong, resizeable flatbands are even more resilient to wear and can be worn for longer. 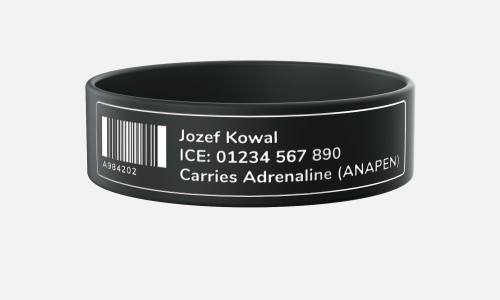 The barcode and other details are included on the inside of the band to keep your information private. The panel on the inside of the band is slightly inset to help prevent your details from rubbing away over time. maybe a different colour or size? 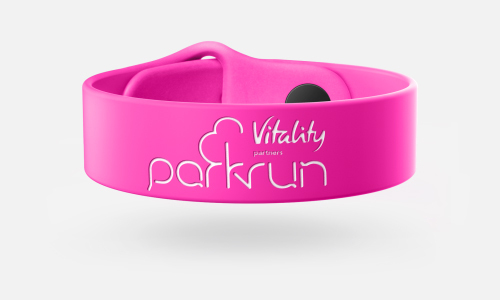 Our wristbands and smoothbands are perfect for wearing while running and travelling to and from parkrun events. 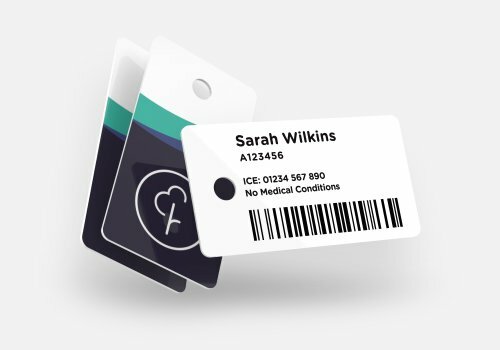 They are not designed to be worn 24/7 or as permanent medical ID. Any questions? Try our Frequently Asked Questions. Wrap a strip of paper or string around your wrist and tape the ends together. Make sure it fits comfortably and is snug, you don't want it too tight. 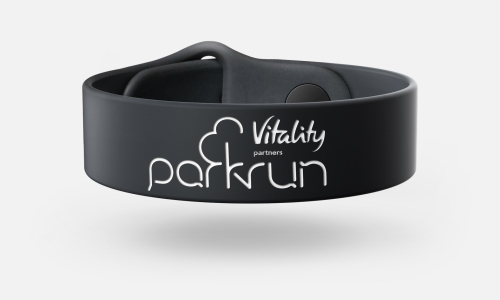 The actual wristband will stretch over your hand so you only need to get the wrist size. Remove and measure the length then choose the closest size from the list below. If in doubt, it’s best to avoid one that’s too tight.